A Haswell refresh might come earlier than expected. Reports coming out of Taiwan re pointing to a sooner-than-expected Haswell CPU refresh by Intel. The 22nm Haswell family, which debuted in June 2013, will reportedly get 20 new desktop and mobile models added next month. Digitimes, as is usually the case, is the source of the rumor, and they were tipped off by DIY motherboard makers in Taiwan. The Haswell refresh would be timed with the release of new Intel 9-series chipset-based motherboards, also due out this Spring. An earlier refresh would help Intel on two fronts. First, it would give more selling time to the existing flagship family of CPUs, while exposing consumers to newer, potentially more power-friendly chips of the same name -- like a more energy-efficient 4775 to replace the 4770 CPU. It would also give Intel the buffer it needs due to the Broadwell family delay. Broadwell chips, which are built on a newer, smaller 14nm process, are due out later this year. 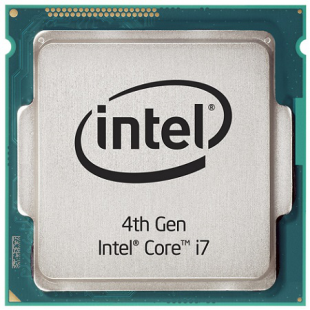 This past October, Intel said Broadwell would be delayed due to a "defect density issue." Broadwell chips were originally due out Q4 2013, and the delay pushed them initially to Q1 2014, but a front-and-center Haswell refresh could push the release to Q4. If you're already running an Intel CPU from the Haswell or Ivy Bridge families, most of this news shouldn't concern you terribly, as an upgrade wouldn't be worth the money (the most powerful power users excluded). But if your last PC build dates back to 2009 or 2010? You might be waiting just a little bit longer for a truly new Intel CPU.